Roman numerals are an ancient number system but still have uses in the modern world. Roman numerals are used to represent dates, analog clock faces and for indexing. 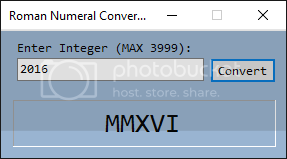 This C# code will show you how to convert a number into Roman numeral.